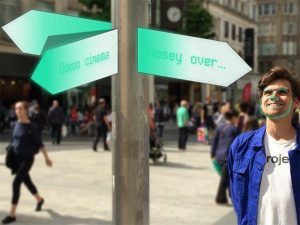 The shortlist for the 2016 Playable City Award has just been announced, and you have until 6 October to praise, critique or question the 8 finalists on their ideas to make Bristol a more interactive city. 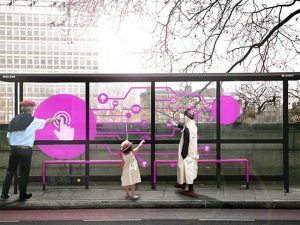 Believing in the philosophy that “Cities that play together stay together”, the Playable City competition puts people and play at the heart of the future city, re-using city infrastructure and re-appropriating smart city technologies to create connections – person to person, person to city. 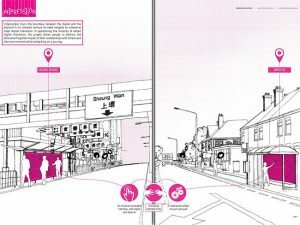 As last year, the Watershed’s Pervasive Media Studio is offering a prize of £30,000 to develop ideas which can make Bristol more playable and, in addition, the winner will receive, “practical support and guidance with generous access to facilities to realise their ideas.” The winner will be prototyping at the Pervasive Media Studio where they will be immersed in the vibrant and innovative environment with artists, technologists and other creatives. After the launch in Bristol, there will also be a Playable City global tour. The theme this year is Journeys, and so each idea aims to make your travels to work, school or elsewhere more inspiring and cohesive, bringing people together through the collaborative use of tech and art. The daily commute to work can often be laborious, dull and uneventful but Playable City seeks to change this, exploiting the architecture already based in the city. This year there were 81 entries from 34 countries, which have been whittled down to shortlist of 8. 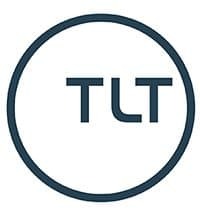 The winner will be revealed at a London launch on 27 October 2016 at the Urban Innovation Centre. 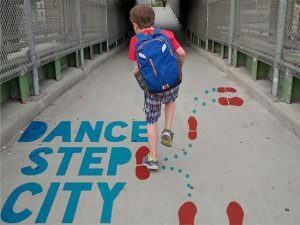 Dance Step City want to lure out the inner dancer in you by projecting footsteps onto the ground for you to follow, tailoring the movements to suit your environment. 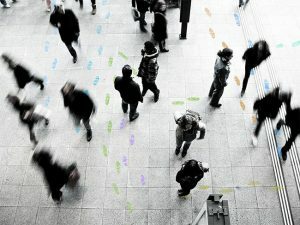 There will be suggestions for steps but there is also the opportunity to add your own flair to your walk to create a unique ‘performative journey’. Inspiration comes from timeless scenes such as Gene Kelly skipping through the wet streets and splashing in the puddles from Singing in the Rain. Happy Place has thought of the perfect way to make you smile. Their idea is to install interactive displays into signposts which will reveal small excursions; the catch is the person in front of it must look happy. Using face detection technology, a camera will identify if you’re smiling and if so the signpost will unveil a text, such as an interesting fact about the city and nearby attractions. The full content will only be shown if you smile for long enough and when your smile fades, so does the image. Recent research has shown smiling increases peoples’ mood, so Happy Place wants to use technology to create a more joyful and cohesive community, one signpost at a time. Im[press]ion aims to close the void between the digital and the physical. Most people find interaction with strangers largely uncomfortable, especially compared to the digital counterpart of talking online, but Im[press]ion seeks to minimise this gap. 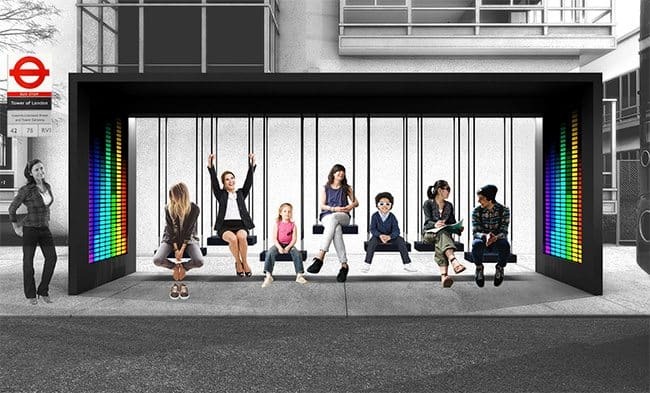 Make Your Rhythm want to revolutionise your bus stop experience, transforming it from a rather dreary aspect of your day to a more jubilant one. 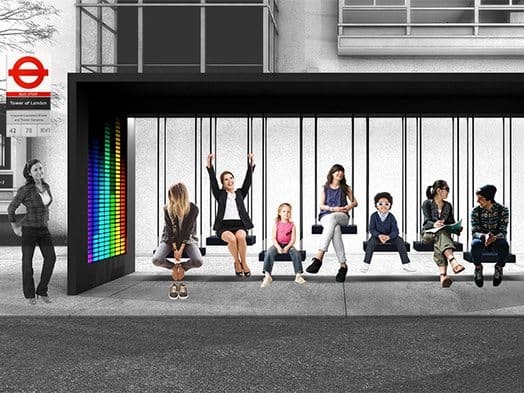 The seats of this bus stop are designed to mimic swings, and each one is connected to a column of LEDs which light up after detecting movement. Simply put, the more frequent the movement of the swing the more LED lights you activate, motivating you to engage with the activity and move more, or to compete with others to achieve the highest level of colourful LEDs. This could drag people off their phones and create a more interactive waiting time for all. Mischievous Footprints want to reintroduce the storytelling aspect into our pavements, bringing back the insights roads would show us years ago, predating the invention of tarmac. This is done by implanting footprints onto the pavement, with the aim to cultivate a newfound interest in our cities and the travels people take within it. Essentially, Paths is “a public space musical instrument and light installation”. The idea will benefit all, making the commute for both cyclists and pedestrians undoubtedly more interesting as they listen to the symphonies and observe the playful light displays that respond to the surrounding environment. Paths will be installed strategically, near points of architectural or environmental interest, busy crossings and areas of pedestrian congestion. 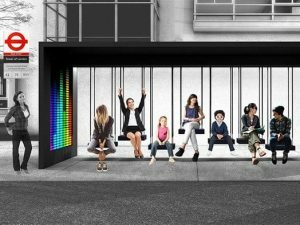 It will “utilise a combination of motion sensors, speakers and lights… positioned along cycling paths” to create a unique display to entertain passers-by. 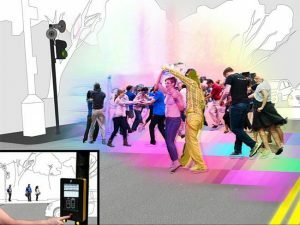 In a bid to connect you to the bustling world and draw you away from the digital world hidden in your phone, Stop, Wait, Dance, Walk wants to create a 30-second party at pedestrian crossings. This will bring together strangers and break the boring wait and walk routine. 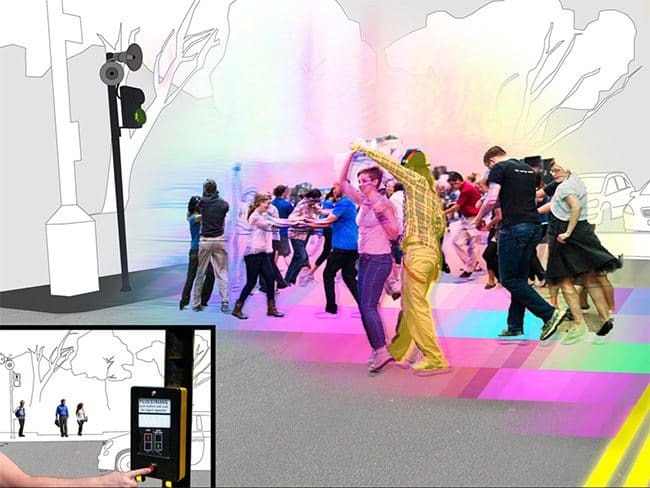 Pressing a traffic light button will enable speakers and a dancefloor, bringing the crossing to life. In addition, a spotlight will guide you across the road, imitating the lights of a stage performance. The Conversing Circuit seeks to initiate a conversation between an individual and the environment around them. The design is inspired by a map of key locations within the city, indicated by an image that will emit a light or sound when touched.